Vembanad Lake is also recognized as Punnamada Lake in Kuttanad. Tourists visit this place specially to enjoy the snake boat race, one of the famous festivals of Kumarakom. The place is also enjoyed as a picnic spot. The lake looks amazing during Onam with the famous snake boat races. The rhythmically moving snake-boat, being rowed by expert rowers, carries around 100 people. Vembanad Lake is at the heart of Kerala Backwaters tourism with hundreds of kettuvallams plied on it and numerous resorts on its banks. The Kumarakom Bird Sanctuary is located on the east coast of the lake. The lake has become a major tourist attraction. Vembanad ranked among the longest lakes in India and the largest lakes in Kerala, Vembanad Lake is located in the Kumarakom region of Kottayam city. Kumarakom is a small island blessed with enchanting beauty and well-known for its backwaters. Tourists spend their leisure time in the lap of nature and refresh their soul. Apart from sightseeing, the lake also allows for outdoor activities like boating and fishing. Also, one can visit the nearby attraction, Kumarakom Bird Sanctuary, located on the banks of Vembanad Lake. The place is a paradise for bird lovers as they can watch wide variety of Birds. 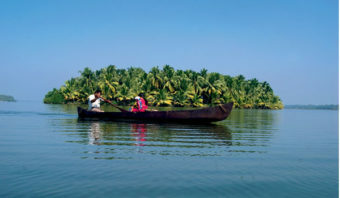 Vembanad Lake is easily reachable by all modes of transportation. The nearest airport to Kumarakom is Cochin International airport and the nearest train station is Kottayam railway station, 16km away from the city. Kumarakom is well-connected by roads to all major cities like Delhi, Mumbai, Jaipur and other nearby places. The lake surrounds the islands of Pathiramanal, Perumbalam and Pallippuram. The Vembanad Lake is approximately 14 kilometres wide at its widest point. 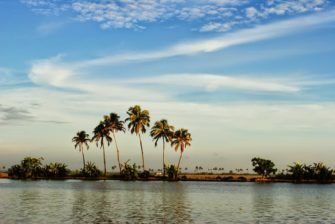 The lake is a part of Vembanad-Kol wetland system which extends from Alappuzha in the south to Azheekkode in the north, making it by far, India’s longest lake at just over 96.5 km in length. The lake is fed by 10 rivers flowing into it including the six major rivers of central Kerala namely the Achenkovil, Manimala, Meenachil, Muvattupuzha, Pamba and Periyar. 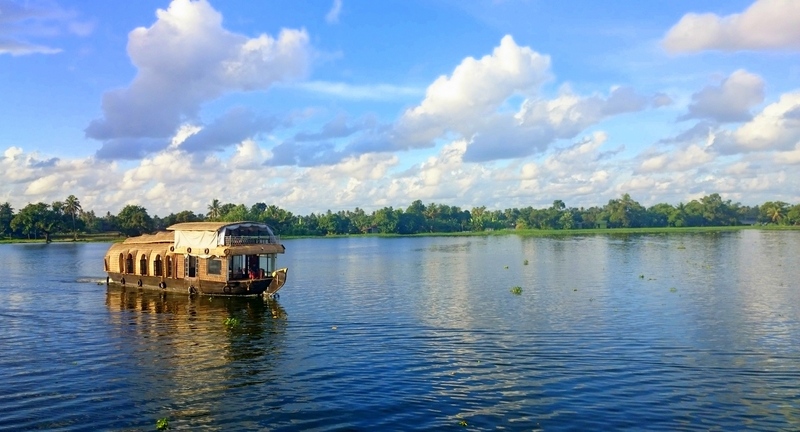 If you are new to Kumarakom, here is the other places to visit in Kumarakom on your trip.